These handsome clamps are made of oiled maple jaws with cold-drawn, carbon steel spindles and swivel nuts. 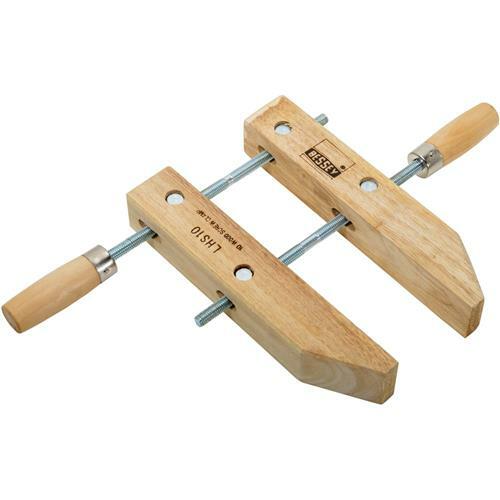 Features an acme thread for quick clamping and large handles for comfort and torque. Jaw length is 10", clamping capacity is 7" and throat depth is 6". Approximate weight 2.24 lb. I used these clamps on a new project as soon as I received them. They are just what I needed.